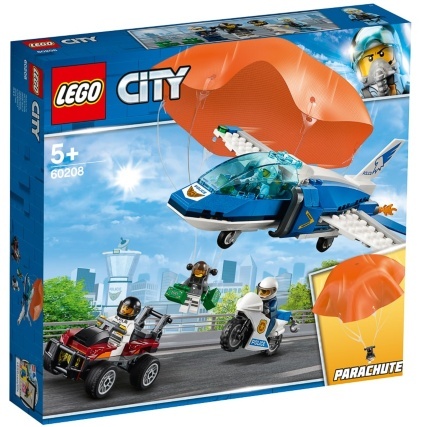 LEGO City Sky Police Parachute. 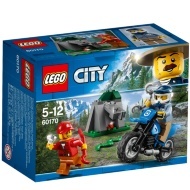 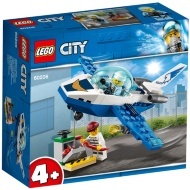 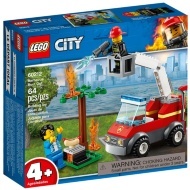 Suit up with the LEGO City Sky Police force and be part of the fast-paced action! 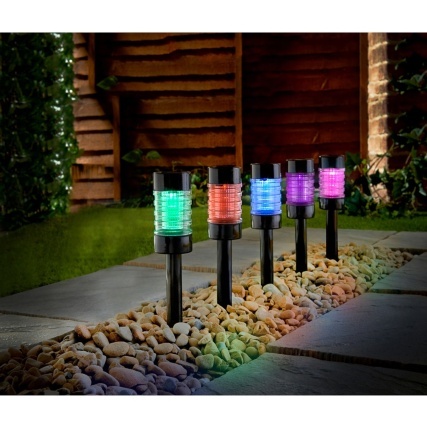 Look at that, what’s that red dot in the sky? 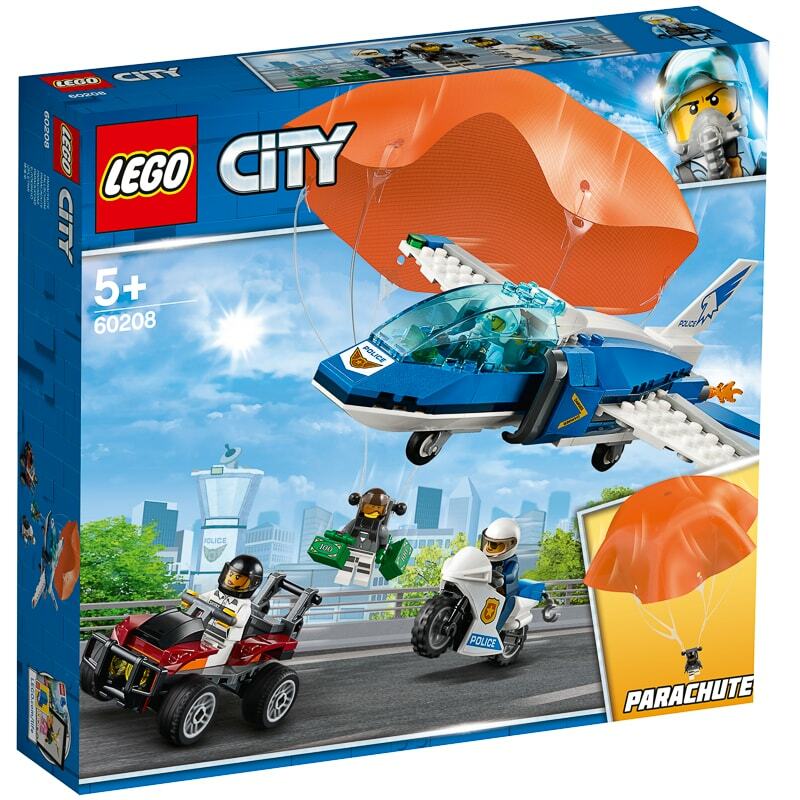 It’s the crook, parachuting down to his partner in the getaway buggy! 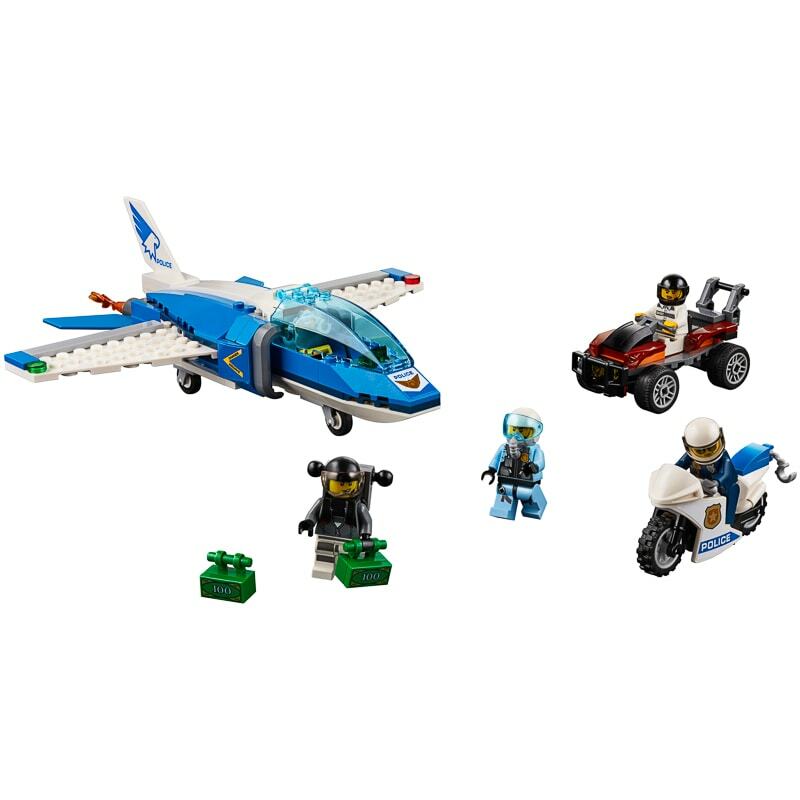 Jump into the high-speed police jet, take off and extend the hook to catch him before he floats away, while your partner chases after the buggy on his motorbike!